WARNING: Don't Ever Drink Coca-Cola Right After Eating Durian! 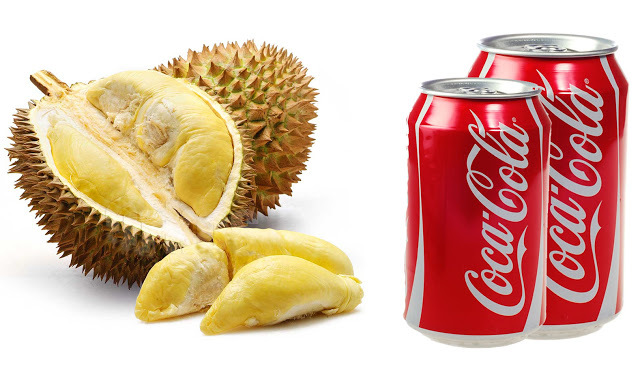 Cola and Durian are two popular food and drink that everyone knows. However, consuming these two may cause a person to die. Is this true or just a coincidence? 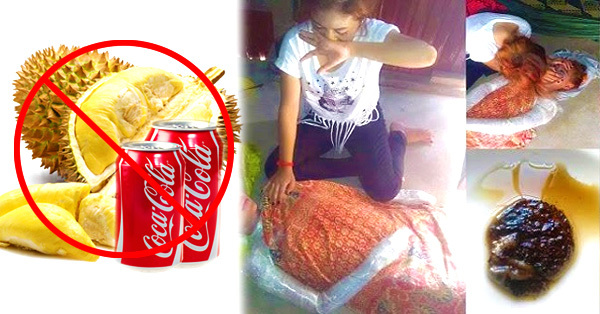 A 28-year old Chinese national named Kim-Siang Ng, who visited Thailand, was reported dead after drinking cola immediately after eating durian. According to the report, he ate too much durian and instantly drank cola in can that caused him to die. The cola-durian tandem was tagged as the "cobra poison". There were claims in Thailand that the authority released warning to people that drinking high-caffeinated drinks within 8 hours after taking durian is a big no-no. According to sources, the victim had caffeine intoxication causing him a sudden high blood pressure leading to cardiac arrest. A study at the University of Tsukuba made by Hiroshi Gemma and John Maninang showed that there may be a fatal result when taking the two consecutively due to durian's high sulfur content. A shutdown in the activity of the enzymes in the body may happen.